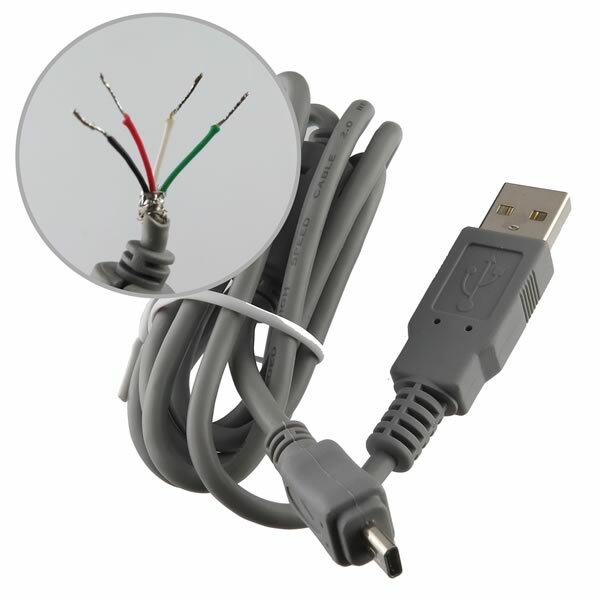 Great 4 wire USB Cable to modify for your own unique uses. Simply cut small plug off end and attach to electronic device you wish to power. You can also add diode (not included) and use to recharge a battery. End with standard male plug can fit any standard USB port. Note: Cell phones do not use this type of mini plug, but by cutting off plug you can use it for your own application where you need a Standard Male USB plug. Check out the related items below for compatible items. Note: The photo of the product illustrates what it looks like when the end is snipped off.